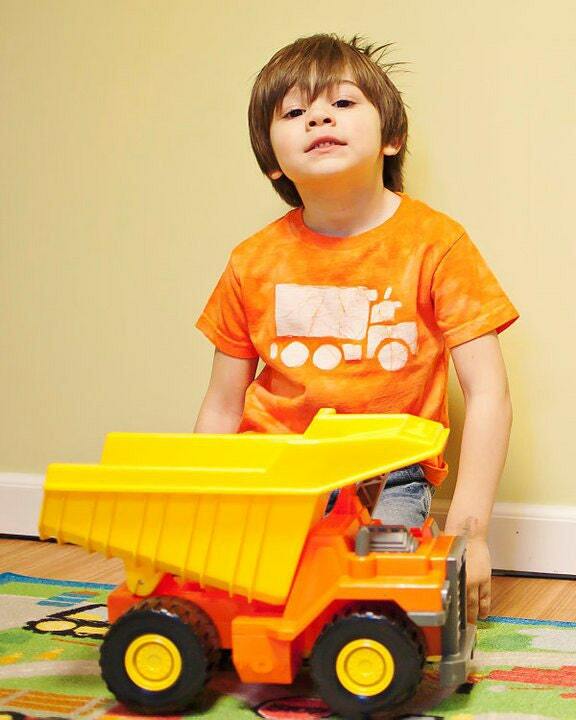 I bet you know a little one who loves garbage trucks -- I do! 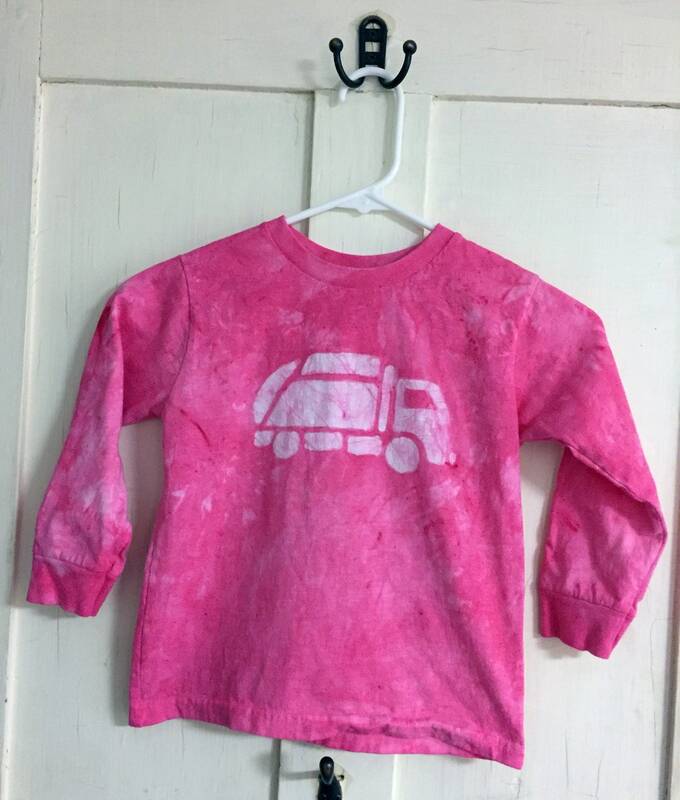 I stenciled my original garbage truck design onto the chest of a 5/6 (fits like 4/5) Rabbit Skins brand long-sleeve shirt before dyeing the shirt a lovely shade of bright pink. 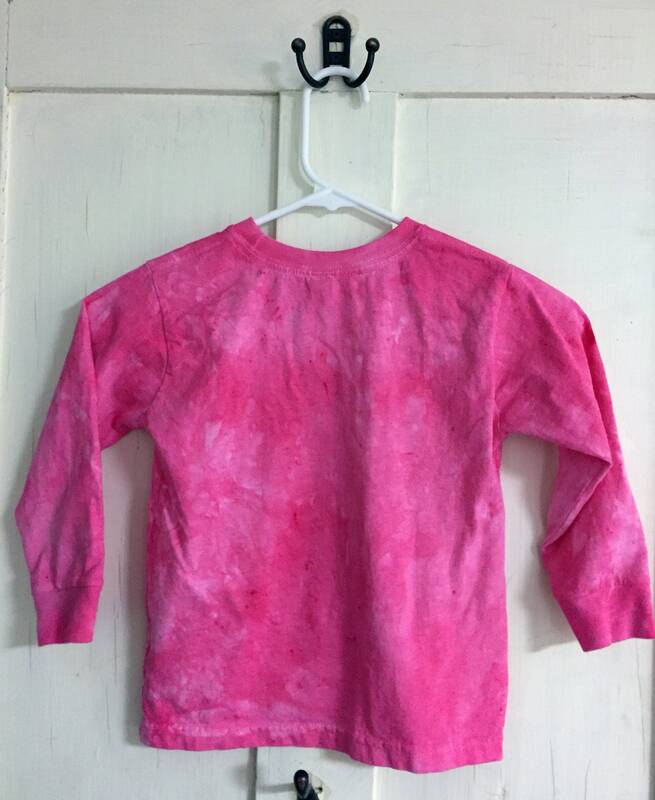 Customers have been asking me about a garbage truck for a while -- it's finally here!